A man who drove the wrong way up the M1 after a fatal crash has admitted causing death by dangerous driving. Adrian Radu, 28, was seen to drive erratically on the motorway early on 24 March, braking suddenly. This caused an accident which fatally injured the passenger in a van - after which Radu fled, driving north up the southbound carriageway. 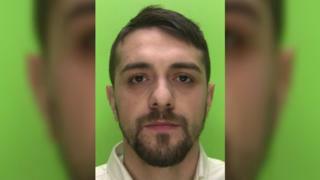 Radu, of Alfreton Road, Nottingham, pleaded guilty during an appearance at Nottingham Crown Court. Police said Romanian national Radu was driving south near junction 27 when he braked hard and tried to perform a u-turn. This caused one vehicle to swerve, which in turn sent a van into Radu's car and also into a lorry. The back seat passenger in the van, 48-year-old Mark Downham, from Chorley, Lancashire, was taken to hospital but died from his injuries two days later. After being stopped Radu failed a roadside breath test. He had previously pleaded guilty to charges of dangerous driving, driving while disqualified and other motoring offences. Radu will be sentenced at Nottingham Crown Court on 13 September.